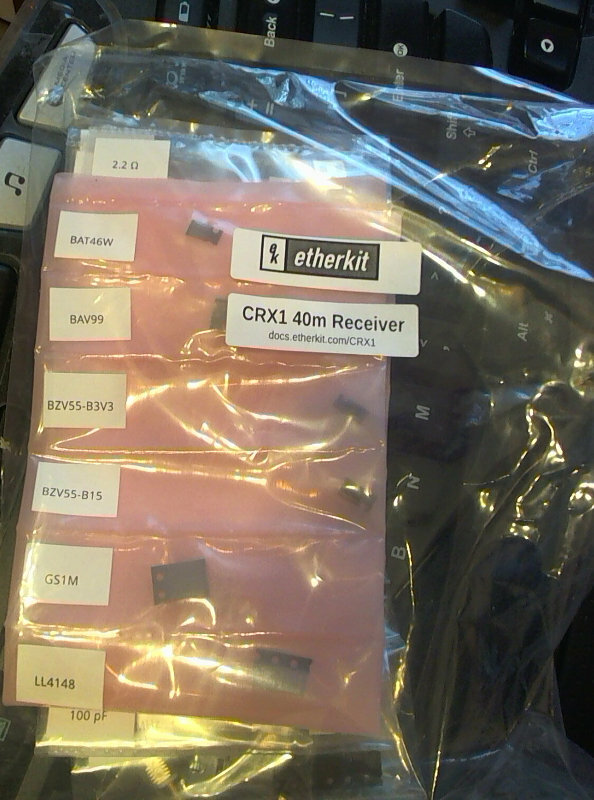 Thanks to Jason/NT7S, I now have a new kit to work on: the Etherkit CRX1. I have to admit that getting it was a bit of a surprise. When I pulled the box out of the mailbox, I thought it was the CC1 I had to send back for fixing. The CRX1 is the little brother receive only version of Jason’s CC1 kit. 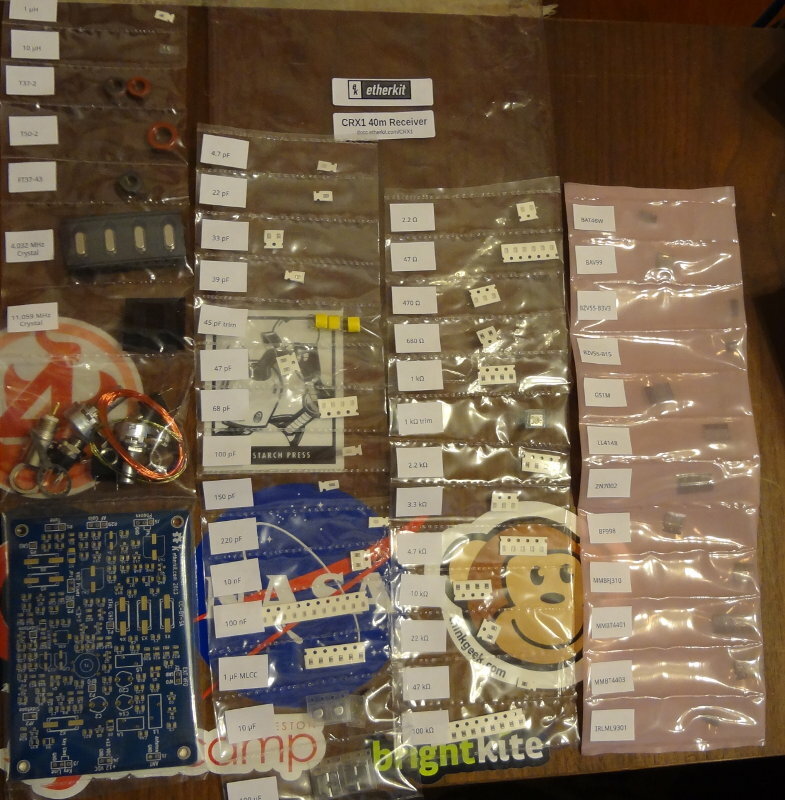 Like the CC1, it’s almost all SMD components with a few through hole pieces. 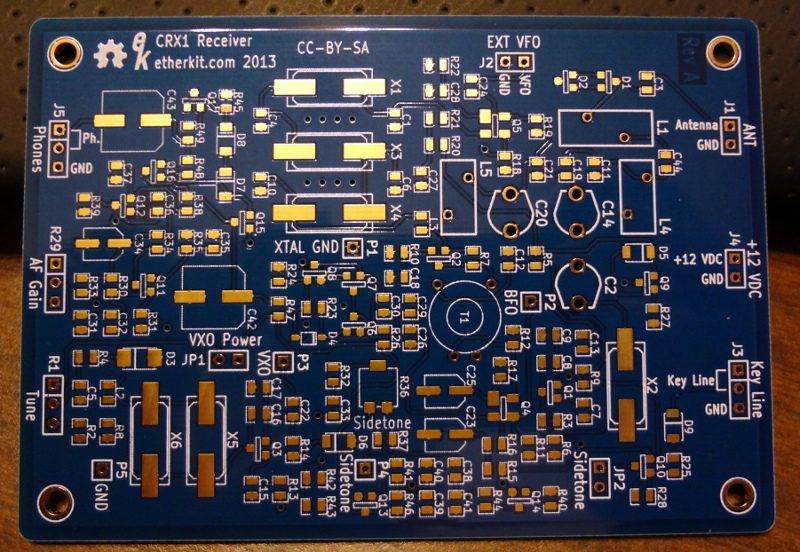 Everything is on one side of the board though, which should make assembly easier. According to Jason, this is production kit #1. I’m looking forward to putting this one together. Hopefully I don’t mess anything up this time. As with the CC1, I’ll be documenting my build progress here.